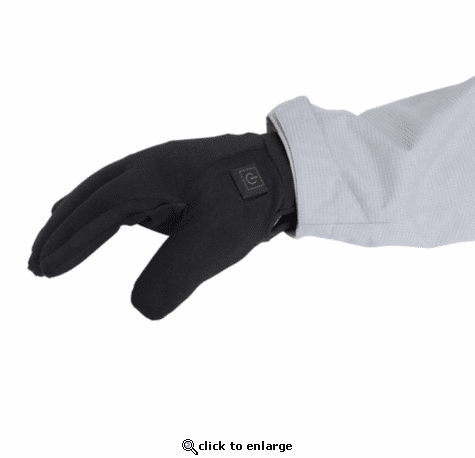 The Torch Heated Gloves are the best way to keep your hands nice and toasty for up to 6 hours. Simply turn them on and enjoy the soothing warmth. Each glove has a 3.7V rechargeable Lithium Ion battery that will surely keep your hands warm all season long! Sizes Run Small. Please Check the size guide above. Thank you. International shipments may incur import taxes and duties. TORCH HEATED GLOVES ADVANCED FEATURES Battery Heated Gloves have a snug fit for optimum grip and mobility, plus ultra thin heating elements that warm your entire hand! Excellent They heat quickly and are very practical and comfortable. The size is a little smaller than what is indicated as recommended on the page. ProsOnce placed they are very comfortable and they heat up perfectly. ConsThe battery to place them in the pockets they have for them, and the connection cable are impractical or small. The size is a little smaller than what is indicated as recommended on the page.